Do You Want To Buy Life Insurance Today? Did you know some insurers allow you to buy life insurance direct online without any medical exam required? That’s right, due to the technology of the internet, and the competition for your business, some highly-rated life insurers now offer a quick and easy online application process. You answer some basic health questions to get a free quote, and if approved, you can start your life insurance policy today. It only takes about 15 minutes to apply online. You may qualify for up to $2,000,000 of term life insurance for a term of 10, 15, 20 or 30 years of life insurance protection for your family. There’s no medical exam required to buy life insurance today, just a few health questions. Your answers to the questions on the application determine whether you qualify for coverage. Your life insurance policy is underwritten by MassMutual which is rated "A++" Superior by AM Best for financial strength. Your life insurance policy comes with a 30 day money-back guarantee. If you’re not satisfied with your policy for any reason, you may return it within 30 days for a full refund of premiums paid. When choosing your plan, make sure you consider how much life insurance you need, how much you can afford to pay, and how many years you need life insurance. Choosing to pay your premiums once a year (annually), instead of monthly may save you money. Although buying life insurance direct online without a medical may cost you more than a fully underwritten policy requiring a medical exam, you have the peace of mind knowing your family is protected starting today should anything happen to you. 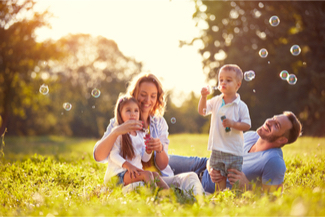 Your life insurance premiums and coverage are guaranteed to remain the same for the term of your policy, up to 30 years. Coverage is available for individuals and couples. If you’re married, you may apply for life insurance for you and your spouse. Many individuals and couples choose to buy life insurance direct online because it’s fast, easy and affordable. There’s no physical, no need to meet with an agent, no sales pressure, and no long mailing delays. If you really want to protect the ones you love with quality life insurance at affordable rates, then this may the plan for you. Start protecting your family today! Get a Free Quote.